Located in the north-western extreme of the North American continent, the Alaska State is known for its brightness, Freedom, and remoteness. People of Alaska and Canada are ordinary people with out of the ordinary dreams, such as the place is extraordinarily beautiful. Niagara Falls is a cascade of three breathtaking waterfalls stationed on the border between Ontario of Canada and the United States of New York. 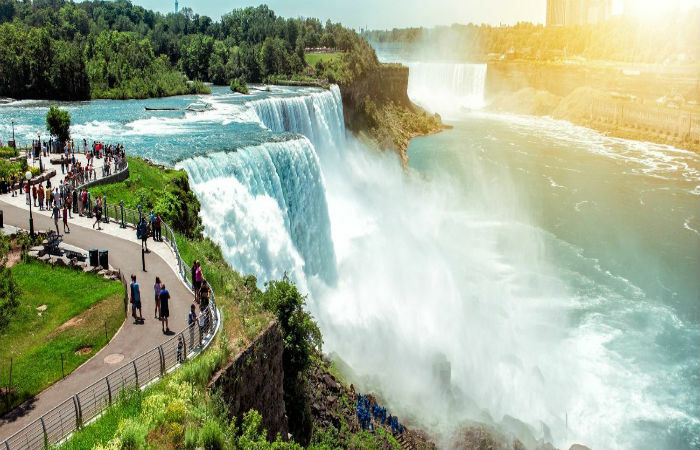 Niagara Falls has evolved into a popular destination for family and adventure holidays in recent years. The waterfall is hands down lies in the list of most stunning places to visit in Canada. Niagara Falls is really one of the most spectacular natural wonders that people should gather their eye to see at least once in a lifetime. Entry Fee: For adults, the cost is $46 and $35 for children between the ages of 6 and 12, and is available seasonally. -Air: Buffalo-Niagara International Airport is approximately 27.5 miles (44 km) from the main city, about 30-40 minutes away from the falls. Taxi and shuttle services are available from there. -Road: The Niagara Frontier Transportation Authority (NFTA) conducts bus routes from downtown Buffalo. Niagara is connected to Interstate 90 and it also has several parkways, expressways, and highways. NFTA has a bus that runs between Niagara Falls and Buffalo Niagara International Airport every two hours. The Niagara City of the USA is also served by New York Trailways, Greyhound, and various other tour operators. -Rail: Niagara Falls Amtrak Station (NFL) has daily services by the Maple Leaf from both Toronto and New York City. The city is also linked to the East Coast stations such as Philadelphia, New York City and Washington D.C. 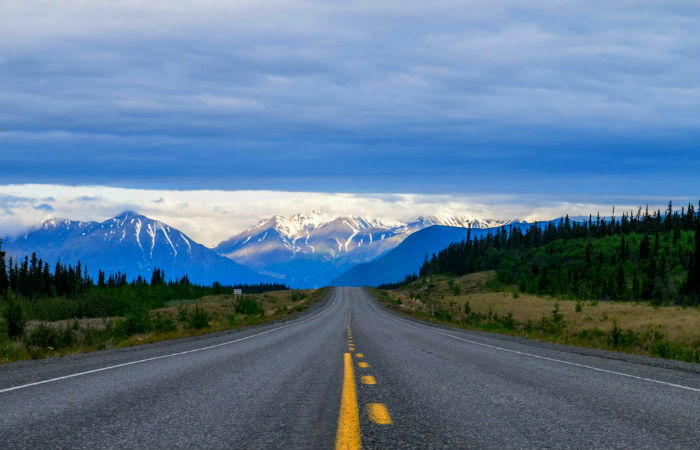 The Alaska Highway is also known as the Alaskan Highway, Alaska-Canadian Highway, or ALCAN Highway which is 1,500 miles away, crosses British Columbia and Yukon for most of its routes. The most difficult thing about traveling Alaska highway is to decide where to stop and what to stare at in amazement. It gives you the best road travel of your life with natural spellbinding scenic views. 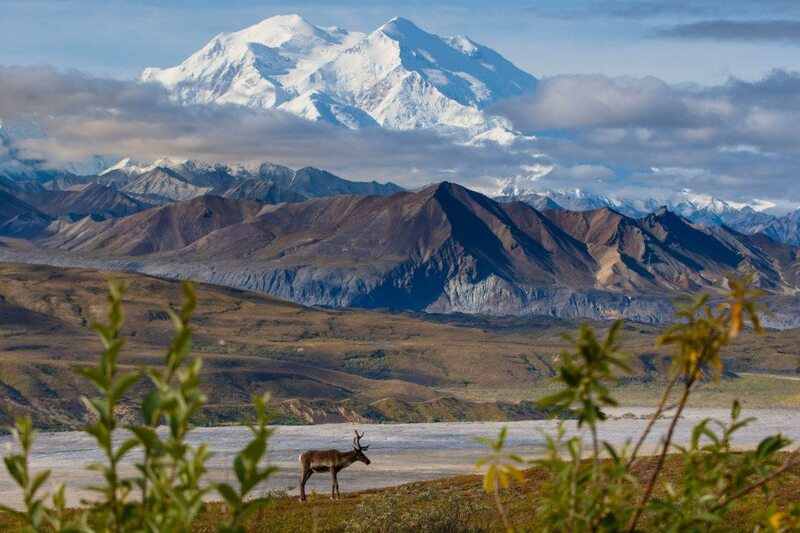 Denali was previously known as Mount McKinley, climbing up to 20,320 feet – the highest peak in North America. Before renaming, it was always locally known as Denali, which means the Great One in Athabaskan, the native language. The park is known to be one of the most gorgeous places to visit in Canada. You may not know that Alaska is home to 17 of the 20 highest mountains in North America. Denali is a wild land of six million acres, which is divided by a common ribbon on the road. It’s a sheltering home to unwanted landscape and wildlife, which offers travelers a comfortable place to return after a day of hiking, white-water rafting or touring. On the edge of the Kenyu Peninsula is a land where the ice age sticks around. About 40 glaciers flow from Harding Icefield. 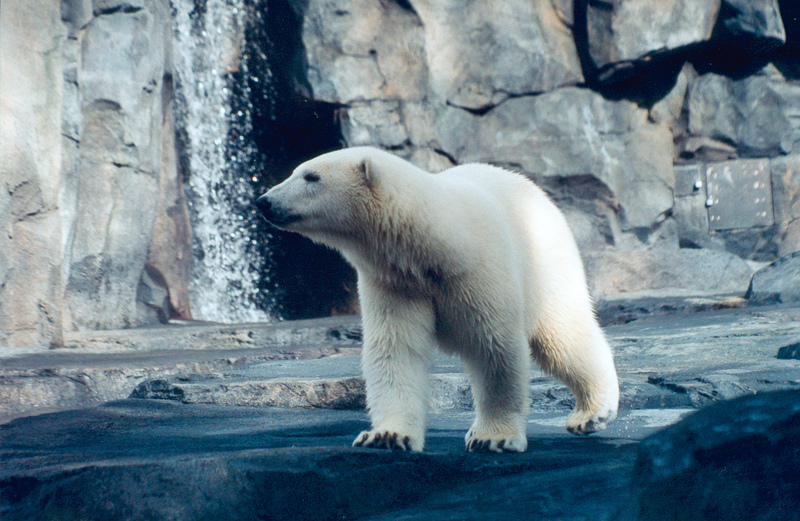 Although there are fewer people in Alaska, the important wildlife population exists here. 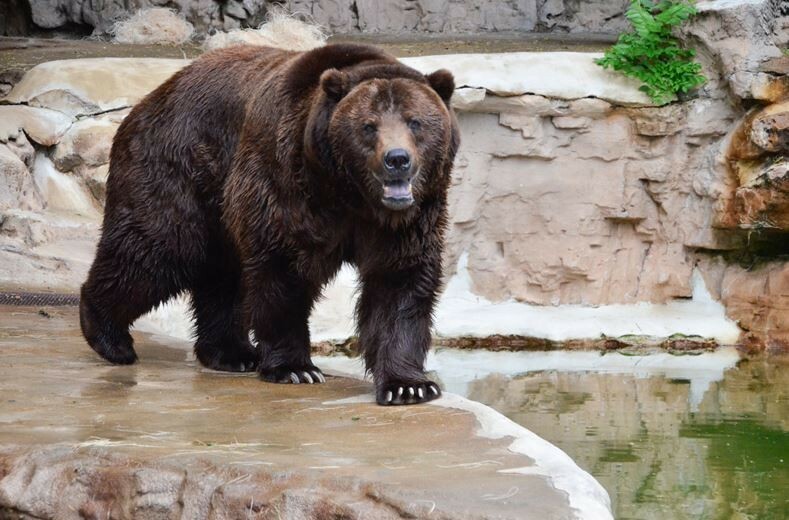 The largest island of Alaska is Kodiak – home to the world’s largest bear species, Kodiak Brown Bear. Haines, Alaska has been the home for the world’s largest concentration of bald eagles. A challenge with finding wildlife in Alaska: You can not determine it. Timings: The park is open all the time in a year. June, July, and August are the primary months to visit. There are economical services in the area during the months of May and September. Kenai Fjords National Park is located outside the city of Seward in south-central Alaska, 126 miles south of Anchorage. Although the park is often inaccessible during the winter months, Seward remains accessible throughout the year via the Seward Highway, a National Scenic Byway. Follow Seward Highway (AK-1) in the south from Anchorage. It will be AK-9 around mile 35 (87 miles from Anchorage), with AK-1 heading towards Homer and Kenai. Continue from AK-9 to Seward. State-owned railways of Alaska connects Anchorage to Seward during the summer months (May-September). Anchorage (ANC) air travel is the easiest entry for Alaska. Then you would like to use a car, bus or train to reach Kenai Fjords. Charter flights may be available to Seward. In the summer, many cruise ships started or ended their journey in Seward. Apart from this, many private buses and van services operate daily from Anchorage to Seward. 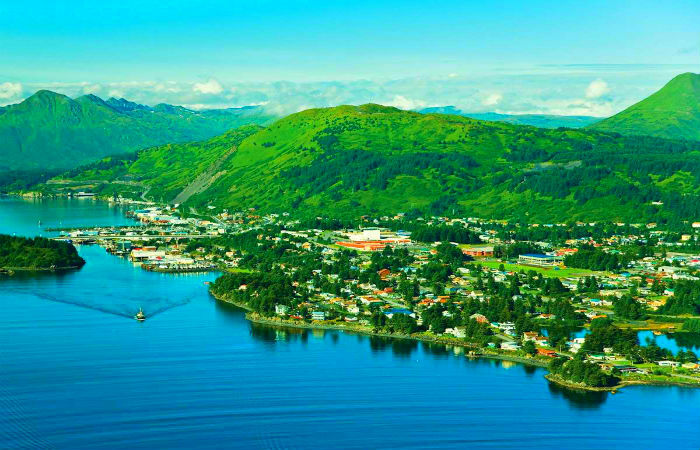 Contact a travel agent or search the Internet for available bus companies or cruise lines operating to Seward. 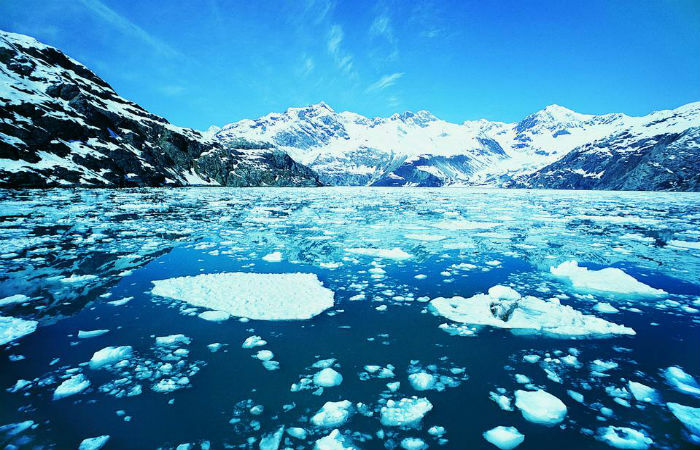 As long as snow covers only five percent of the surface of Alaska, the state has more than 100,000 glaciers. Glacier Bay National Park and Preserve occupying its position in Southeast Alaska, has given shelter to more than 50 named glaciers, which include seven Tidewater Glaciers which flow into the sea. When seawater reduces snow fronts on these glaciers, the mammoth blocks of ice break loose and crashed into the water, known as “calving”. From the face of a glacier, when ice calves, the onlookers are sounded with a noisy show and it scrapes, groans, and showers like a waterfall into the water below. 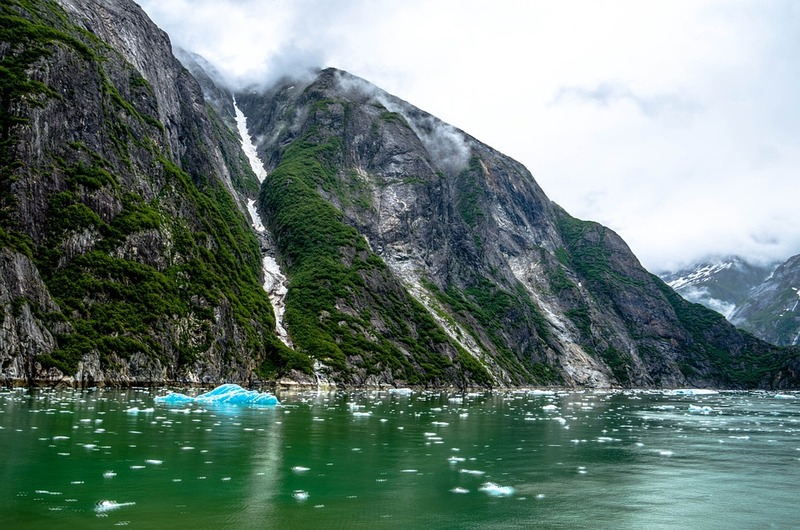 A sailing expedition of Tracy Arm Fjord, magical Alaska gives you the glimpse of glaciers in a carved landscape, with hundreds of waterfalls gushing down under the granite wall of 3000 feet. When you cruise through this port you will have enough time to admire some native animals. The best sightseeing of the Glacier caves are in the spring when most of the snow goes away at low altitude and the nearby lake is still frozen. It seems like you have reached heaven, oh no, you are in fact in the Mendenhall glacier which spans 12 miles. Best Time To Visit: Mendenhall Glacier can be reached throughout the year, but the best time to visit is May through October. 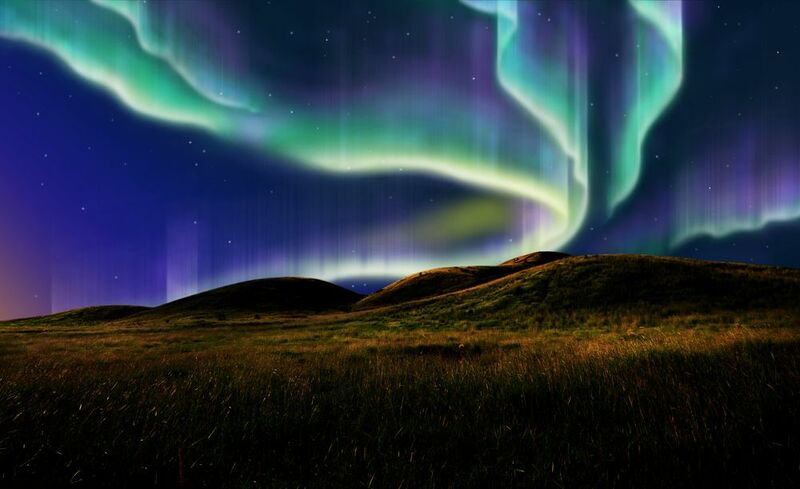 Northern lights seem like the artistry high-up in the sky. It is an amazing and mysterious experience to see the Northern illumination where the bright, energetic string of yellow, red, green or even purple light regularly spotlight the night sky. This area provides an awesome balance of occurrence, frequency, and activity. It’s one of the stunning places to visit in canada. Best Time To See Northern Lights: December to March. Best Time To See The Northern Lights, Seasonally: To travel between September and November and between February and March, means that you are avoiding the coldest winter months. Cheapest Time To See The Northern Lights: Travelling in early September or late March relate to cheaper hotels and tour prices. Alternatively, try to search for package deals during December and January. Known for its majestic landscape located between the Coast Mountain and the Pacific Ocean Vancouver, which features a natural playground that allows us to go through the beautiful parks and snow ski in the mountains. 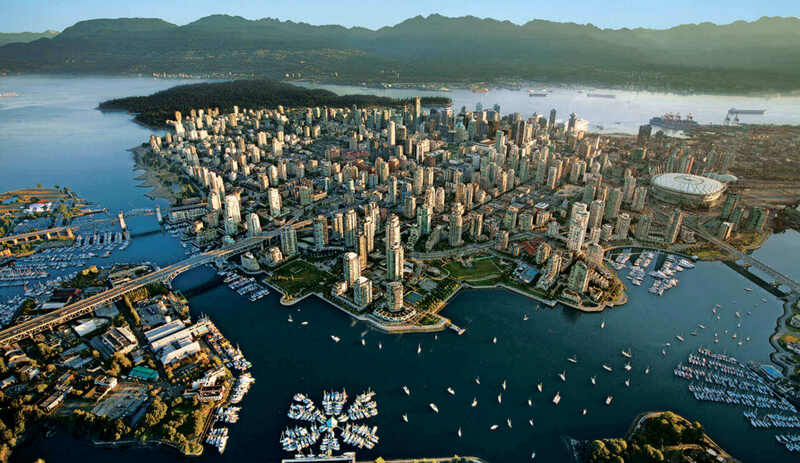 Vancouver is amongst the most popular places to visit Canada. Best Time To Visit Vancouver: The best time to visit Vancouver and Victoria is during the warmer and drier months of April through October. Ottawa is located on the confluence (a place where two rivers meet and become one) of the Gatineau and Rideau rivers in southeastern Ontario, Ottawa is the capital of Canada. The river flows right from the heart of the city, the star attraction in Ottawa is the Rideau Canal. In the winter the canal becomes the world’s largest ice skating rink. Montreal and Quebec City some of the most divergent, beautiful and exciting places in Canada. Have the pleasure to dig into the museums, beautiful parks and high-intensity attractions in these cities. Basilique Notre-Dame is one such place that you would love to visit in Canada. Best Time To Visit: March to May and from September to November. 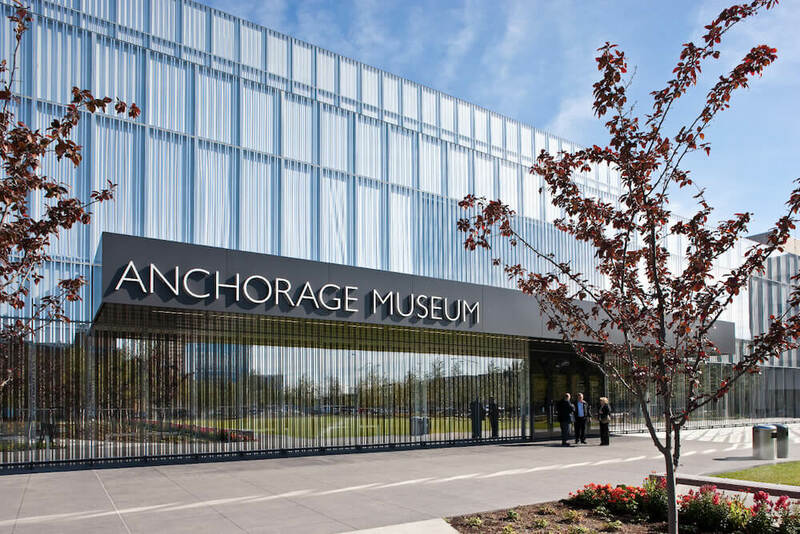 The Anchorage Museum is amongst the top 10 most visited attractions in Alaska, retaining world-class art, history and science museum. All the gatherings here offer an overview of Alaska’s rich history and an introduction to its diverse culture. 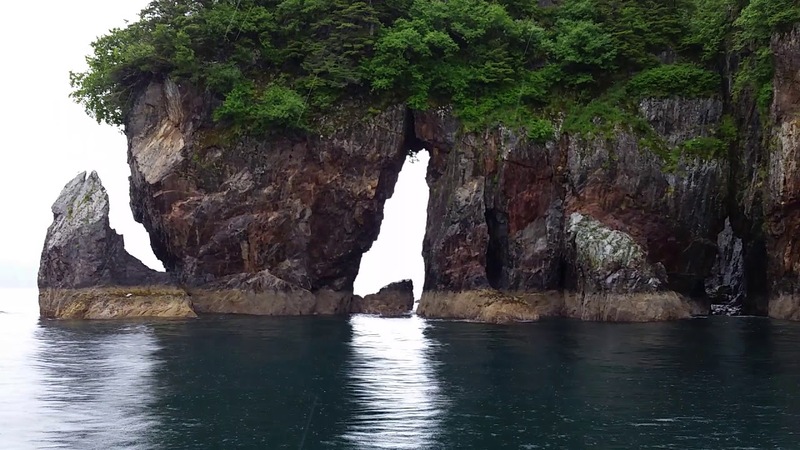 It’s one of the top-rated tourist attractions in Alaska. First Fridays & Polar Nights 6 P.M. – 9 P.M. Previous article17 Stunning monsoon destinations in India that will pour you with amazement! Next article21 Amazing places to be thrilled of in Chennai!